The CEDIA Expo is a trade show held each September by the Custom Electronic Design & Installation Association (CEDIA). 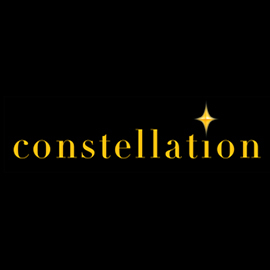 For most attendees, it provides an opportunity to learn about the latest developments in home automation, to see the best and brightest new 4K-capable video projectors, and to hear spectacular, sometimes ear-splitting demos of object-based audio formats like Dolby Atmos and DTS:X. On the fringes of all this high-tech overload is a surprising amount of two-channel audio -- everything from integrated amplifiers to statement tower speakers. Happening as it does roughly midway between the annual January installments of the Consumer Electronics Show (CES), the CEDIA Expo also gives audio manufacturers a chance to unveil new gear that may have been only hinted at in Las Vegas. Here are the standout hi-fi products I saw and heard during my wanderings off the grid at the 2016 CEDIA Expo. All prices are in USD. Lenbrook Industries had loads of new NAD, Bluesound, and PSB products on display, but the ones that caught my attention were those from NAD’s new Classic Series. This line features the C 388 and C 368, hybrid digital DAC-integrated amplifiers that borrow a number of technologies from NAD’s high-end Masters Series, including future-proof MDC slots to accommodate various upgrade modules. 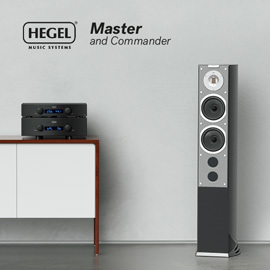 The difference between these two new two-channel models comes down to power: the C 388 delivers 150Wpc, the C 368 80Wpc. Otherwise, both provide moving-magnet phono, analog, and coaxial and optical digital inputs, along with a 24-bit/192kHz-capable asynchronous USB connection. Bluetooth aptX streaming is supported out of the box, but you’ll undoubtedly want to max things out by adding the optional BluOS module, which enables wired and wireless streaming over a home network, along with control and browsing of your music collection via the elegant BluOS Controller app. The C 388 ($1599) and C 368 ($899) will be available in October. 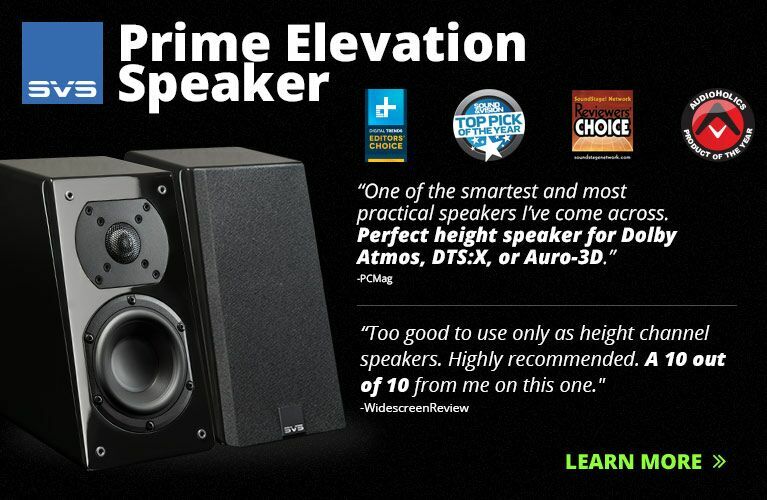 GoldenEar Technology elicited enthusiastic reviews on SoundStage! 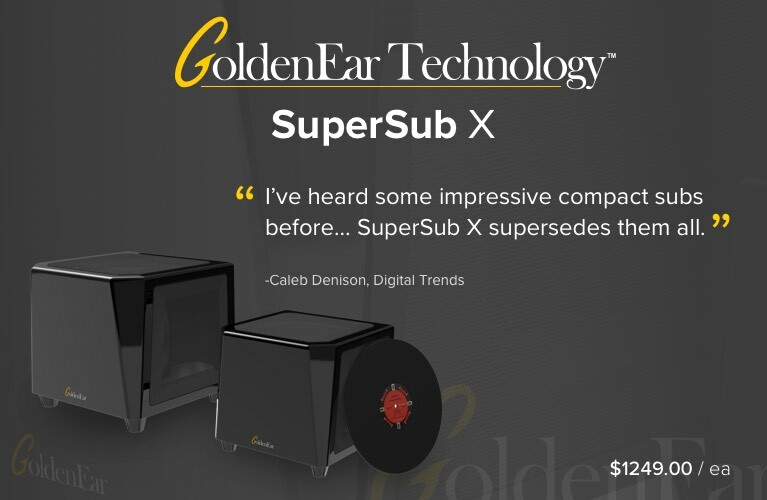 Global and elsewhere when it previewed its SuperSub X subwoofer at the January 2016 CES. 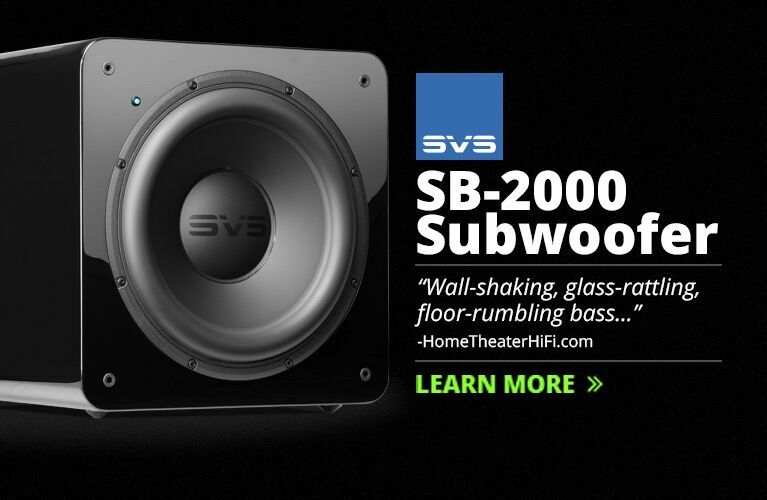 This compact, powerful, $1249 sub is now ready for primetime, with units set to ship to the company’s dealer base by the end of September. A smaller version of GoldenEar’s SuperSub XXL, the X combines two active 8” drivers in the horizontal plane with two 10.5” x 9.5” infrasonic radiators in the vertical plane. The result is an inertially balanced box that, according to GoldenEar, can retrieve finer details and more smoothly couple drivers to the room. Packing a 1400W class-D amp, the SuperSub X is specced to deliver bass all the way down to an infrasonic 12Hz. Anyone familiar with Anthem’s surround preamplifiers and receivers should also be familiar with Anthem Room Correction (ARC), a technology originating with Canada’s National Research Council that’s used to independently equalize each speaker in a system for an ideal in-room target response. While ARC has so far appeared only with the company’s multichannel components, Anthem showed a new integrated stereo amp at the Expo that also features the technology. The STR integrated amplifier ($4499) is specified to output 225Wpc continuous into 8 ohms, and its DAC can support PCM resolutions up to 32/384 and Direct Stream Digital up to DSD128. Inputs include moving-magnet/moving-coil phono; XLR, coaxial, and optical digital; and asynchronous USB. According to Anthem, the STR is the first in a line of premium two-channel products it plans to roll out. Look for it to arrive at your Anthem dealer in early 2017. Dynaudio calls its Contour 20 a “standmounter,” a term I’d never come across before. But I guess it does the job of communicating that the new 20, the smallest model in the redesigned Contour line, is still too big to fit on most bookshelves. Not that you’d want to hide the Contour 20 away on a shelf -- with its curved edges, aluminum baffle, and range of luxurious finishes, Dynaudio’s, um, standmounter -- and the rest of the new Contours -- are easy on the eyes. 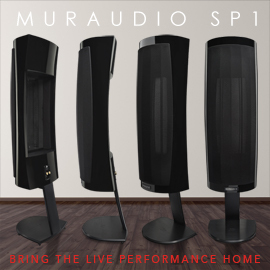 They use the same Esotar soft-dome tweeter found in Dynaudio’s costlier speakers; what’s new is the woofer, made of a Dynaudio-developed material called MSP, with a variable-thickness diaphragm the company claims improves performance. The Contour 20 is available now for $5000/pair. ELAC maintained a low profile at its first CEDIA Expo, occupying a small, open booth rather than one of the spacious sound rooms along the perimeter of the Omni Severin’s convention center. Still, the arrangement provided ample space for ELAC to highlight its many new products, including the EA101EQ-G Element two-channel integrated amplifier ($699). The Element integrated’s BASH amp delivers 100Wpc -- enough power to easily drive a pair of ELAC’s tower speakers, according to Chris Walker, VP of Product Development. Its small size also makes the Element a great option for a desktop system built around a pair of passive speakers and a subwoofer. Yes, you read that right: ELAC’s new amp provides not only a subwoofer output -- a rare feature for an integrated -- but built-in room correction, so that any attached sub can be EQ’d to smooth out bass response. That process is carried out using the company’s iOS/Android app, which can also be used for system control. Look for the EA101EQ-G Element to arrive in late 2016. The thing about Teenage Engineering’s OD-11 that grabbed my attention was its defiantly retro look. Unlike the many other wireless speakers scattered throughout the Expo, the OD-11 owes no design debt to Sonos. Turns out the reason the OD-11 looks so retro is because it is retro: The company based the speaker on a 1970s design by Swedish engineer Stig Carlsson -- the original Carlsson OD-11 of 1974. The OD-11 packs a neodymium-driven tweeter and a 6.5” long-throw woofer powered by a 100W class-D amp. You can wirelessly feed it tunes via AirPlay or Spotify Connect, or plug components into its optical digital and analog inputs. Two OD-11s can be paired for stereo playback using the company’s iOS/Android control app. Another option is offered by the Ortho remote control ($149), which links to the OD-11 via Bluetooth. Teenage Engineering sells the OD-11 on its website for $795 (white finish) and $899 (black, red, or walnut) apiece.